The best way to find a qualified cognitive behavioral therapist is to contact the organization that accredits CBT in your country. They will keep a list of suitably qualified therapists and you can normally search by location. The first consideration is often whether you are interested in a medical or psychological approach. Psychiatrists and doctors have a medical qualification. The classic medical approach is to assess a patient in order to make a diagnosis of an illness, and then to prescribe a course of treatment. Psychiatrists and doctors can prescribe medication, but may also recommend psychological treatments. Clinical psychologists, counselling psychologists, CBT therapists (and other mental health specialists) have qualifications in psychology – typically a first degree in psychology and then one or more years of further specialization. 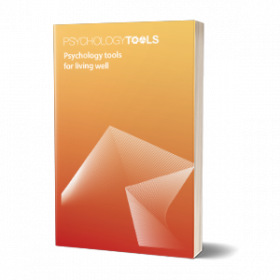 The classic psychological approach is to find out what has happened to you, to find out what difficulties are bothering you, and then come to a shared understanding of what has cause the problem and what is keeping it going (often called a formulation). They will then offer psychological treatment – with cognitive behavioral therapy this will involve a mix of talk therapy (cognitive) and doing therapy (behavioral). What areas of therapy does your therapist have expertise in? Some therapists work predominantly with adults, others may have specialist skills for working with children and adolescents. It is often helpful to ask your therapist whether they have expertise in treating the condition you are looking for help with, and what kind of outcomes they have achieved in the past. You can find out more information about each of these approaches, and the evidence for their effectiveness, at their respective Wikipedia pages. Be aware that your therapist might integrate ideas from more than one model of therapy, but note that it is considered more appropriate for them to do so in a manner that is driven by theory (i.e. they should have a good theoretical reason to be mixing treatment interventions). It has been demonstrated in multiple studies that the relationship formed between the therapist and client is a strong predictor of how successful therapy will be (the other main predictor is what type of therapy the therapist offers). Do you think you could form a good working relationship with this person? Could you trust them to work with you sensitively? If the answer to either question is no then it may be a concern that you could address early in therapy, or it may be better to find a therapist with whom you think you could work.